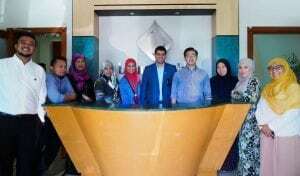 Dr Nur Rahman (4th R), CEO of Ghanim International Corporation, poses for a group photo with Brunei Halal staff members at their new head office in Gadong. 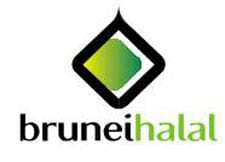 BRUNEI Halal has moved its head office to Gadong from Jerudong in line with aspirations to expand effectively and to run its operations more efficiently, the trading and marketing arm of the company announced yesterday. In a press release, Ghanim International Corporation Sdn Bhd said that the office has moved to Kg Mata-Mata in Gadong as of May 30, 2016 to be located closer to major businesses such as supermarkets and outlets. “Part of the aspirations also includes distributing to major retail outlets in cooperation with the current distributor whilst also opening its own shop front and factory outlet in the future to sell discounted products for the mass market,” the statement said. Dr Nur Rahman, CEO of Ghanim International Corporation, said that the new office will give easier access to a wider audience d ue to the centrality of the building’s location thus giving the brand more exposure. “This will also open the opportunity to interact with consumers of our products face to face,” he was quoted as saying in the statement. Dr Nur added that the company will be launching a number of products into the market “throughout the coming weeks and months”.